Today's stroll, I would briefly outline to you on how you can improve the life of your laptop battery. There are some certain factors that do lead to the drainage of our laptop battery and these factors are mostly ignored by the user. You must know be aware that the life of a laptop battery is limited, and in such case, the more the battery of a laptop is being used and the older the battery of the laptop becomes, then the lesser charge the battery would be able to accumulate. That's the more reason you notice that the laptop you purchased 2yrs ago, its battery lasts 6Hrs as of then, but now lasts 2hrs. This situation is caused due to the fact that the battery carriers lesser charge. Without much say, I would briefly outline the 10 surprising tips that can help boost or improve the life of your laptop battery. De-fragmentation of your computer helps to increase the efficiency of your hard disk through reducing data access time and allows storage to be used more efficiently. And once the speed of your hard disk is improved with better efficiency, there would be lower battery usage demand. The drainage of battery is caused mostly by connectivity in the computer. Try to disconnect any connectivity that is not in use, like the wifi, Bluetooth and other internal connectivity. And also the External ones try to remove the ones not in use. And always avoid using your laptop to charge other external devices like iPod, Tablets and other complex devices, it would drain your battery quickly. Making use of your hard drive than the CD/DVD of your laptop is another better way to improve your laptop battery, because the usage of CD/DVD on your laptop drains the battery. So you are strongly advice to work more on hard drive. 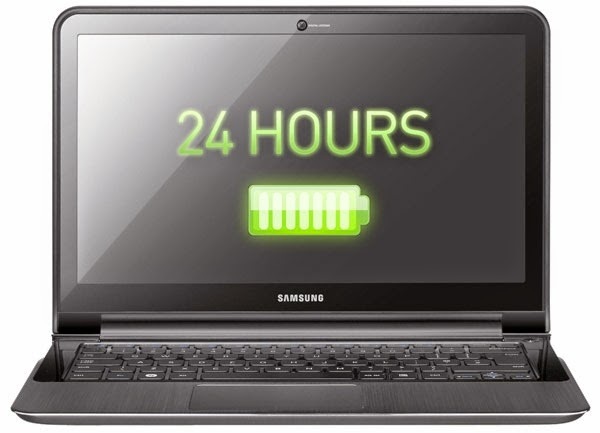 This is another great factor that helps to improve the life of your laptop battery. It is good to adjust the brightness of your laptop screen to almost the lowest. Adjusting the brightness of your laptop screen also saves your eye from any bad health effect, because the ray from the laptop screen is not good. So try to adjust your laptop screen brightness. Doubling your laptop RAM is another great way to improve the life of your laptop battery. Because adding extra RAM to your laptop would highly improve the speed of your system and once your computer is working fast and efficiently, then the battery efficiency would equally increase. Most times, due to the dirt’s on your battery, the efficiency is likely to reduce and that leads to battery drainage of your system. But once the metal contacts of the battery is kept clean, at least once in every month, then you would notice an improvement of your laptop battery. Hibernating your laptop is another great way to save your laptop from battery drainage. Most laptop users fix their laptops in standby modes because they still have some activities on going on there system, but I advice you rather hibernate the laptop to save your battery from drainage. There is most background running programs that are not necessary, try to remove or stop such programs because they highly consume the life of your laptop battery. Also try to clear the cache of your laptop with Ccleaner program; it helps improve your laptop battery. Cleaning the Fan of your laptop helps to increase the efficiency of your laptop, and as long as the efficiency of the system is improved, then the battery would work fine. It also avoids your system from over-heating, because once your laptop over heats, then there would be high drainage of battery. So try to clean your laptop fan twice a year. Though there are many laptops that are gaming computers, but that doesn't means that we should be gaming with it on daily basis. Try to minimize the level of gaming on your laptops. And also make sure you run already installed games, because running games via CD/DVD would lead to high drainage of the laptop battery. So try to minimize the level of gaming on your laptop and the battery would work fine. The truth of the whole matter is that, anything that you know, that would help increase or improve the efficiency of your laptop, should also be able to improve the life of your laptop battery. Hope this brief computer tips helps. For related PC tips, visit our PC tips section. Also Endeavor to share and like this brief tips if you know you really benefited from it. And finally, try to join our email readers via here, and like our Facebook page via here, in other to get our latest future updates. Great tips you have here for sustaining our Laptop battery lafe span. Recent I don't know what came over my PC, my battery doen't last as usual, you know how bas this could affect me and my Job, but I'll implimet these tips, and just hope the outcome will be nice. Thanks for sharing these tips! I'm gonna try out some, especially cleaning out the laptop fan. Thanks for sharing these tips. Gonna do some of them to save my laptop battery, especially cleaning my laptop fan soon! tnx for stopping by Hui zi.